If you grew up on classic arcade games, our iPad Atari Arcade gaming dock will send you back in time to relive your favorite arcade games. 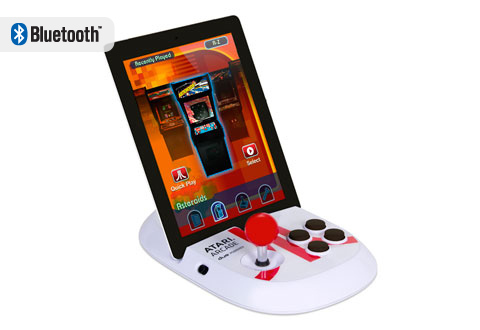 Connect via bluetooth to your iPad, iPad 2 and the new iPad for hours of real arcade action– complete with stick shift joystick and classic arcade buttons. 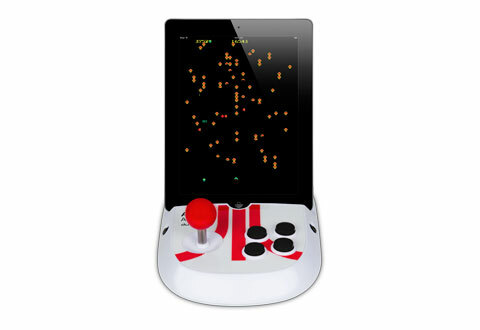 Relive the excitement of arcade classics like Asteroids, Centipede and Missile Command. 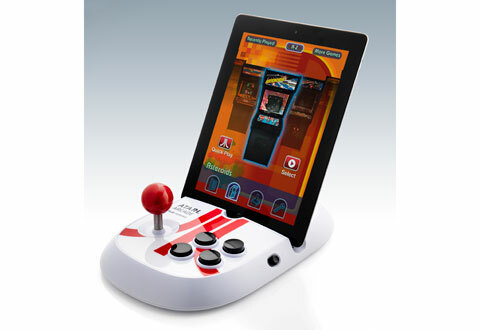 Simply download the free Atari Arcade Greatest Hits app from the Apple Store, attach your iPad to the dock and you’re on your way to hours of classic arcade action. . Transforms any iPad, iPad 2, the new iPad generation 3 and iPad with Retina Display into a retro arcade gaming console. There’s nothing quite like a classic Atari Arcade game! 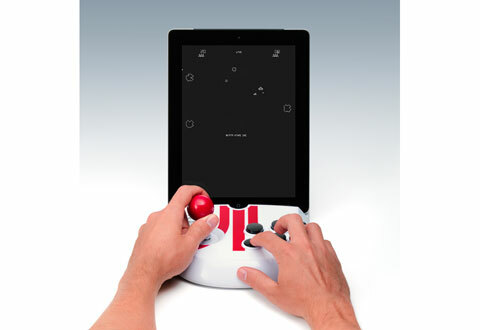 The stick shift joystick and retro four-button configuration Atari Arcade gaming dock gives you the look and feel of a classic arcade game on any iPad®. 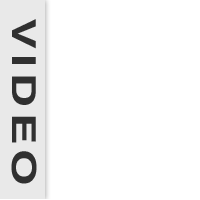 Just download the Atari Arcade Greatest Hits app from the Apple® Store and you’ll have everything you need for 1 person 2 people or team arcade action.